This is the beginning of a (hopefully) much larger clock mod based on Mumfrey's Liteloader example mod for 1.9. I've changed the code a bit to make this a clock that can show the time of day in Minecraft, as well as the current time displayed on your computer as the mod was originally programmed to do. I've also reorganized the code to allow for new features I have planned for later updates. At this point in time, this mod only provides a clock face and hands for the Minecraft world time and the time your computer displays -- perfect for use with fullscreen. Displays the equiped armors on screen right side allowing you to check your armor's damage any time. Displays the equiped armors on screen right side allowing you to check your armor's damage any time. Displays the boundaries between biomes in-game in full 3D with customisable boundary height. Press B to toggle the display. This mod was inspired by chunkborders by troyboy50.Displays the boundaries between biomes in-game in full 3D with customisable boundary height. Press B to toggle the display. This mod was inspired by chunkborders by troyboy50. This is a liteloader mod for minecraft 1.9, 1.9.4 and 1.10.x based on a feature in Not Enough Items. 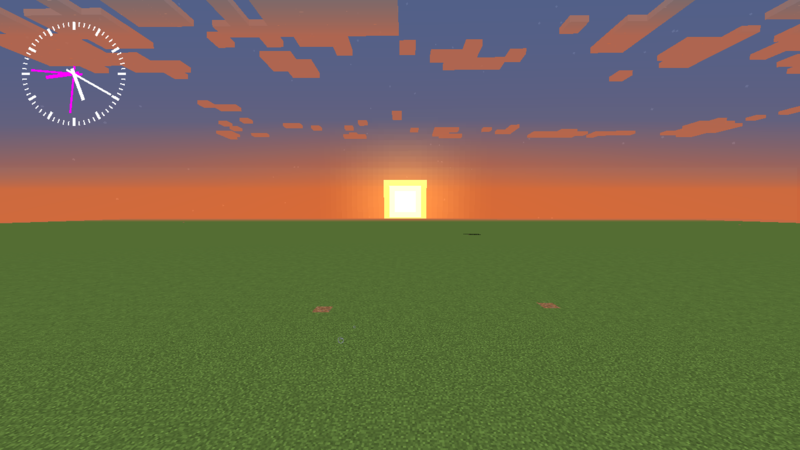 It is designed to show a yellow "X" over blocks where the light level will allow mobs to spawn during the day (ie. above ground in the overworld) and a red "X" over blocks where mobs can spawn at any time.This is a liteloader mod for minecraft 1.9, 1.9.4 and 1.10.x based on a feature in Not Enough Items. It is designed to show a yellow "X" over blocks where the light level will allow mobs to spawn during the day (ie. above ground in the overworld) and a red "X" over blocks where mobs can spawn at any time.